Discover how to learn English with the help of “The Matrix”. It is easy, affordable and fun. Don’t believe me? You have probably heard this claim before; different teachers, companies and courses claiming to know the "one secret" to learning English. Most of those promises come with a price tag I am afraid. Some are worth the price but others just exploit your desire to learn a language. If you have been disappointed by similar claims I want you to pay attention to what you are about to read. Have you seen “The Matrix”? If not, go see it. It’s a great movie. Watch it in English and you can practice your English as well. Imagine that you are Neo (Keanu Reeves) from the Matrix and you are trying to bend a spoon with your mind. 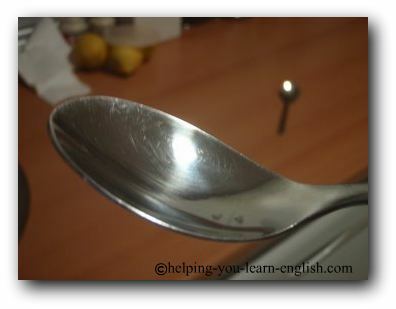 (That spoon represents Learning English). Neo is focusing hard on that spoon (learning English)...trying so hard to bend it (learn it), but he can’t. Sound familiar? What does the little boy tell him to do? 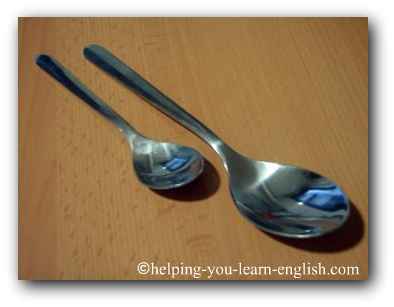 The boy who has been bending spoons (learning English) without any problems? He tells Neo not to think about the spoon, but to focus on what surrounds the spoon. That is how you bend one with your mind. It is not the spoon that bends, it is everything around it. Want to see the clip from "The Matrix" that I am referring to? How does this Help You Learn English? Good question! Let’s repeat the metaphor and apply it to Learning English. Don't focus so much on the goal of learning English. This does not help you learn a language. You need to focus your energy and you mind on what "surrounds" English. Don't spend all your time studying grammar, when you could start a language exchange with someone or start writing to a penpal. It will get you started but it won’t get you far. Why do you want to learn English? How will knowing English help or aid you? Fundamentally, you want to know English so that you can communicate well with others. The most efficient, fun and interesting way to learn English is simply using it. This is why people living abroad learn so quickly, and why those who date native English speakers learn 10 times faster. So whenever anyone asks me "how to learn English" I always tell them, "by using it". It is a simple concept but sometimes it is hard to accomplish when you don't live in an English speaking country.